A Leading name in Real Estate Industry in Lucknow .We provide to choose from thousands of new properties launched by builders, and individual owners as per your requirement. we take care of acquiring, selling and all documentation related to your property to make your quest for dream home more comfortable and simple. The extensive knowledge of real estate sector allows us to work with you through proper planning.Our company is based on quality standards, values, uncompromising business values, customer centric approach and complete transparency. We deal in a wide range of real estate services including- Luxurious Apartments, Houses, Villas, Land Properties, Commercial Offices, Commercial Shops, Farm Houses, Malls Space, IT parks, The company simply works– ' People First'. 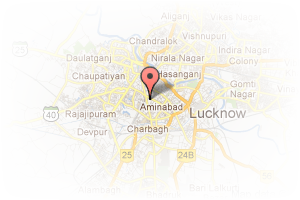 Address: sahara plaza, Gomti Nagar, Lucknow, Uttar Pradesh, India. This Broker Profile page for "Kavyansh Infraventure Pvt Ltd" has been created by PropertyWala.com. 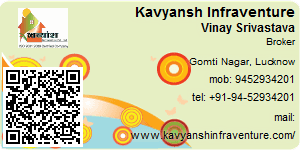 "Kavyansh Infraventure Pvt Ltd" is not endorsed by or affiliated with PropertyWala.com. For questions regarding Broker Profiles on PropertyWala.com please contact us.